Time for the obligatory what is ahead for 2013 I guess. Did not have much on the go come December apart from a few Deadball teams and abit of Saga so was thinking this year was going to be abit slow. 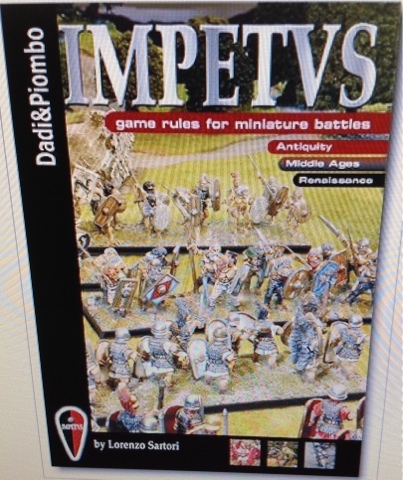 However I caught up with Craig C over holiday break up in Timaru and he gave me my first game of Impetus. Have to say I really enjoyed it which set in my mind my project for 2013 - an Impetus army. However what list to do as they cover a huge range of history? Mind made up when I heard Tim and co in Wellington were about to start up armies based around Asia. I really liked some of the Chinese 28mm figures on the net so Chinese it is. I find I need a goal to work towards when starting a new army. Last year I focused on getting my FOW Fallshirmjagers army ready so I could play at Southcon (our local gaming convention in June). So why not the same this year! So I have offered to run an Impetus tournament at Southcon this year. Hopefully some of the Wellington guys will come down plus the Timaru and Christchurch Impetus players. Should be fun.